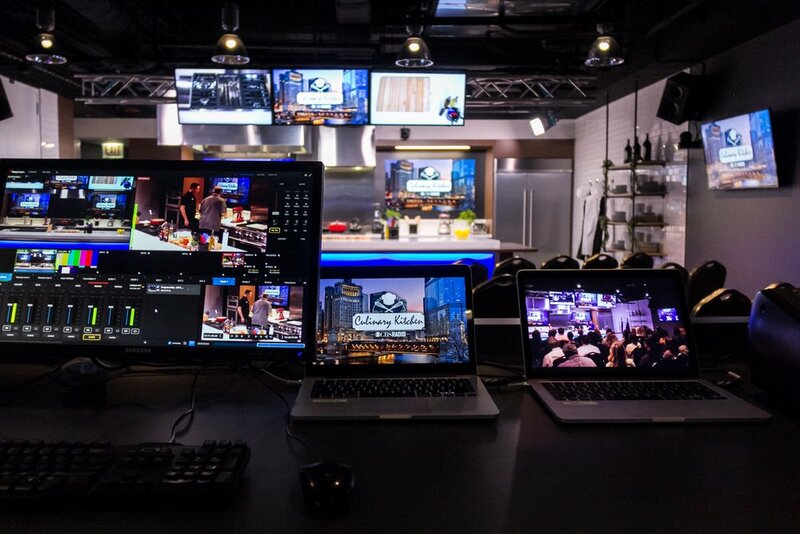 Located in the heart of downtown Chicago, the CBS Radio Culinary Kitchen Studio offers a completely new approach to a performance studio. 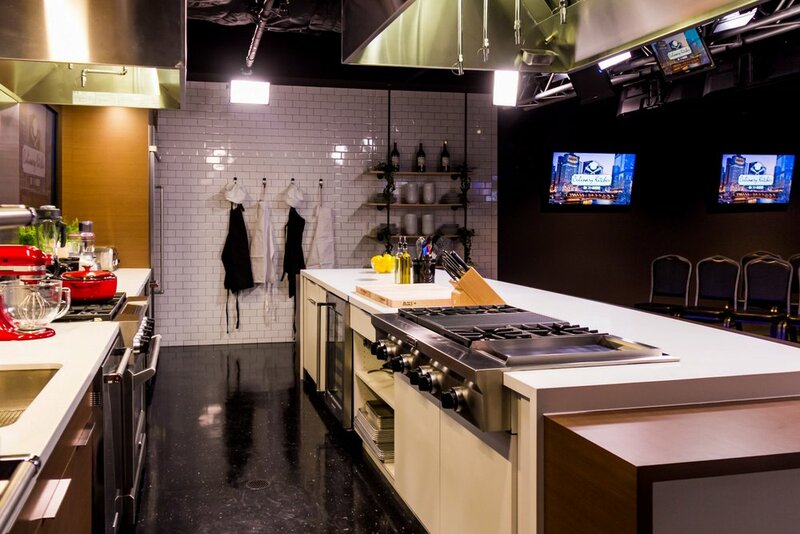 V Three Studios worked closely with the forward-thinking radio group to design a 1,100-square-foot restaurant grade culinary studio with the feel of a boutique restaurant. The interior features a 16-foot island, state-of-the-art professional appliances, sleek cabinetry and solid surface countertops. The studio is located on the 9th floor of a skyscraper and incorporating strict commercial ventilation and fire suppression code requirements proved to be an interesting design challenge. 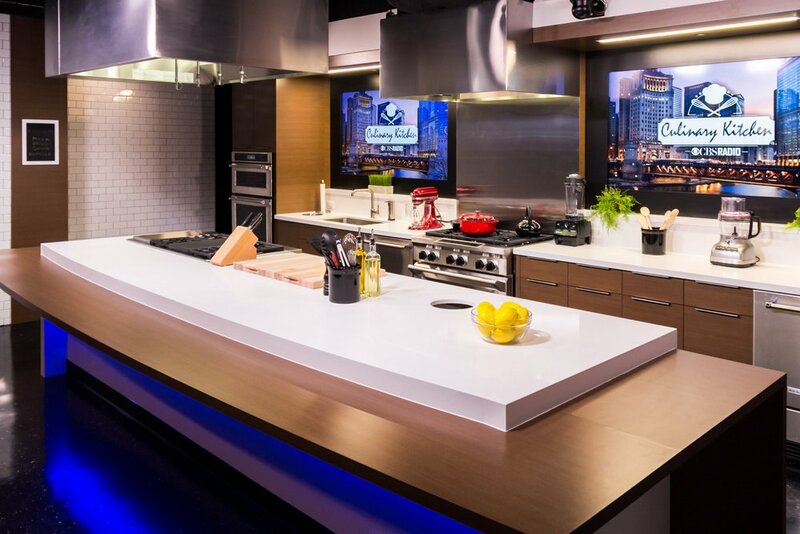 V3 worked with the CBS team to incorporate full-stage lighting and professional AV capabilities to capture a wide variety of cooking segments. 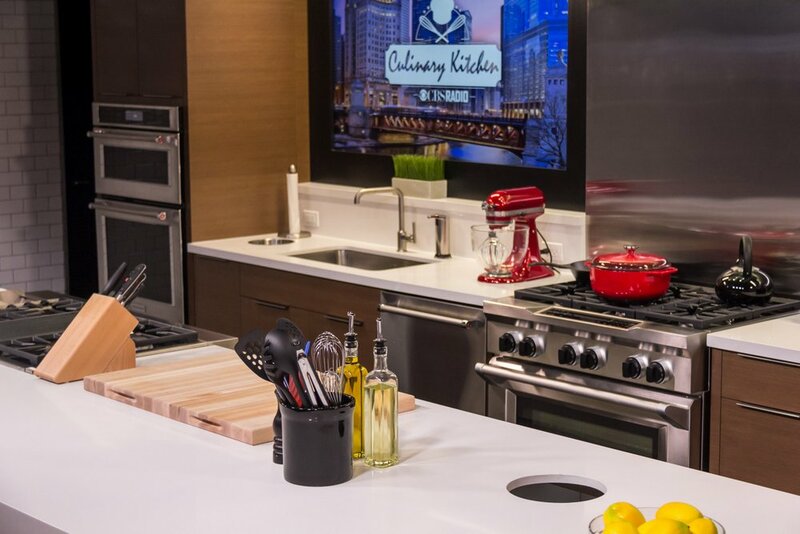 70-inch monitors flank a commercial range and serve as a dynamic backsplash depicting the Chicago skyline, CBS branding, guest chef profiles and more. These unique touches allow CBS Radio to reach new audiences in a non-traditional service model that will certainly leave guests coming back for seconds.